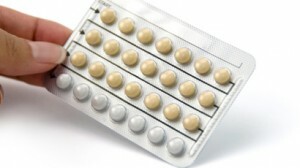 Birth control pills are one of the most used and popular ways of preventing pregnancies. Also referred to as oral contraceptives or ‘the pill’, these types of contraceptives come in two types: combination pills and progestin-only pills. The combination pills come with synthetic hormones—progestin and estrogen. On the other hand, the progestin only pills do not contain estrogen. Both types of pills offer effective and convenient means of preventing pregnancy. Even so, we have to realize the potential oral contraceptives side effects. Healthy women who are non-smokers have a lower chance of experiencing severe oral contraceptives side effects. For most women, most of the complications occur mainly with the pregnancy that occurs from the taking of contraceptives. However, women with special health conditions can experience unwanted side effects from taking oral contraceptives. Smoking of cigarettes when taking oral contraceptives has been linked with the possibility of experiencing severe side effects. To reduce the likelihood of experiencing these side effects, it is advisable to quit smoking when taking oral contraceptives. The risk is directly proportional with the age of the person and how much they smoke. Warning: Some unwanted effects can include benign liver tumors, blood clots, liver cancer or related complications such as strokes. Even though these effects are rare, they can lead to possible death. It is, therefore, advisable to discuss these effects with the doctor. Watch out for signs of stomach pain (abdominal pain), eye problems, headaches, chest pain and extremity swelling. For women with diabetes: Mild increase in blood sugar levels characterized by nausea, faintness, sweating and pale skin. For women who smoke tobacco: Pains in abdomen, side or stomach; yellow skin and eyes. For women with breast disease history: Lumps in breast. There are some side effects that may occur in these women that do not necessarily require a doctor’s attention. The side effects will disappear as the body adjusts to the medicine. The health practitioner can help you by offering ways to reduce or prevent the side effects. You should take the medication with food or immediately after a meal to prevent the development of stomach upsets. Make it a habit to take oral contraceptives at the same time every day. This makes it easy for your body to adjust and ensures you do not forget to take them. Learn how to properly use the particular brand of contraceptive pills and follow dose recommendations to the letter. Make sure you use a supplement form of contraception during your first week of use since it takes a while before they can be effective. Follow the doctor’s guidelines if you are using the pill as a morning after pill. It is important to reveal your medical history to your doctor before you start taking oral contraceptives. Note that the use of contraceptives increases your chances of suffering from stroke, heart attacks, blood clots, vision problems, gallbladder disease and liver tumors. Also, consult with your doctor if you are above the age of 40 and are thinking of taking oral contraceptives as there may be health risks involved. Women who are near sighted and wear contact lenses may experience vision problems, and the sensitivity to the lenses may decrease. Seek medical attention if this occurs. If you are planning for surgery or you have been confined to a chair for a long time, notify your doctor before the prescription is made. You cannot use contraceptive pills while pregnant. Ensure you are not pregnant before commencing with the daily pill. Inform your doctor if you suspect you are expectant. This medication can be passed to breast milk and is, therefore, advisable not to take oral contraceptives while breastfeeding. The medication can affect breast milk production and may have harmful side effects on the infant.